So, it finally happened. 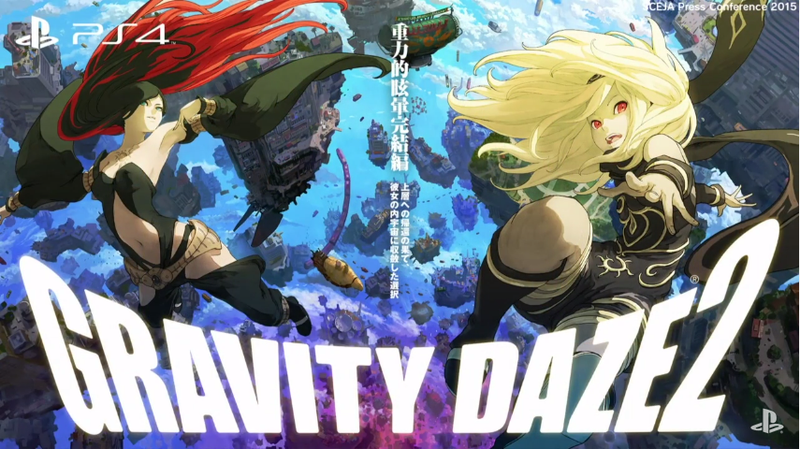 Gravity Rush 2 has been announced...for the PS4 only. It’s hard to be completely happy for a title I’ve been really looking forward to when it’s announced in such a manner, it was a shift kick to the balls from Sony. Some people may be okay with this, but there are certainly a lot of Vita fans who are not especially since Vita fans are the ones who made a big deal about this series. On top of that, the game now loses one of it’s biggest charm, the level of immersion via gyroscope/sixaxis in combination with a handheld screen. It’s hard to describe the feeling, the rush (pun intended), and what made it so unique if someone never played it with that control scheme. I’ve always dreamed about taking a huge leap of faith and then floating, and falling. I’ve done skydiving, and ran through obstacles at great heights. I’ve attempted to do some parkour, and run along the walls. I’ve spin around and did flips underwater to get a sensation of floating around. And the experience itself for each of these, are hard to describe. It’s one thing to see someone do it, but it’s another to experience it. With all these experience, playing Gravity Rush on the Vita, there was something magical about it. The game replicated the sense of free floating, and falling really well thanks to the ability to move the screen around combine with motion. And now that it’s on the PS4, that experience/sensation is traded in for better graphic, as well as, abandoning the fans who realize that this IP is special. Feel free to talk about an experience where you realize something special, and have long supported it, only to have it abandon that special thing, and gave you the finger.